Guess who just went to a bead show? 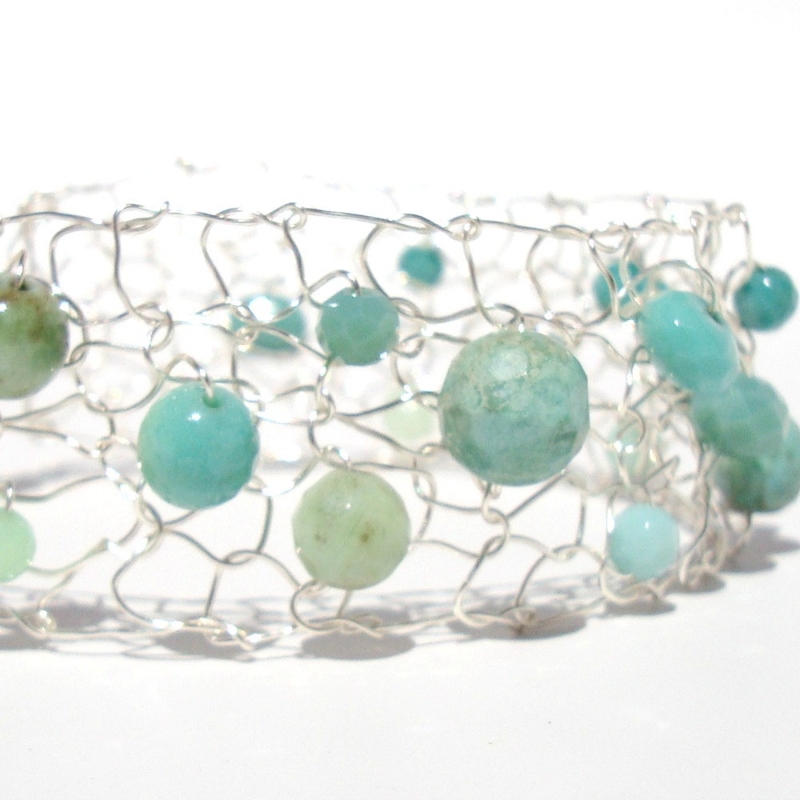 I picked up all kinds of gorgeous stones- and this minimal all silver grey cuff is one of the results! 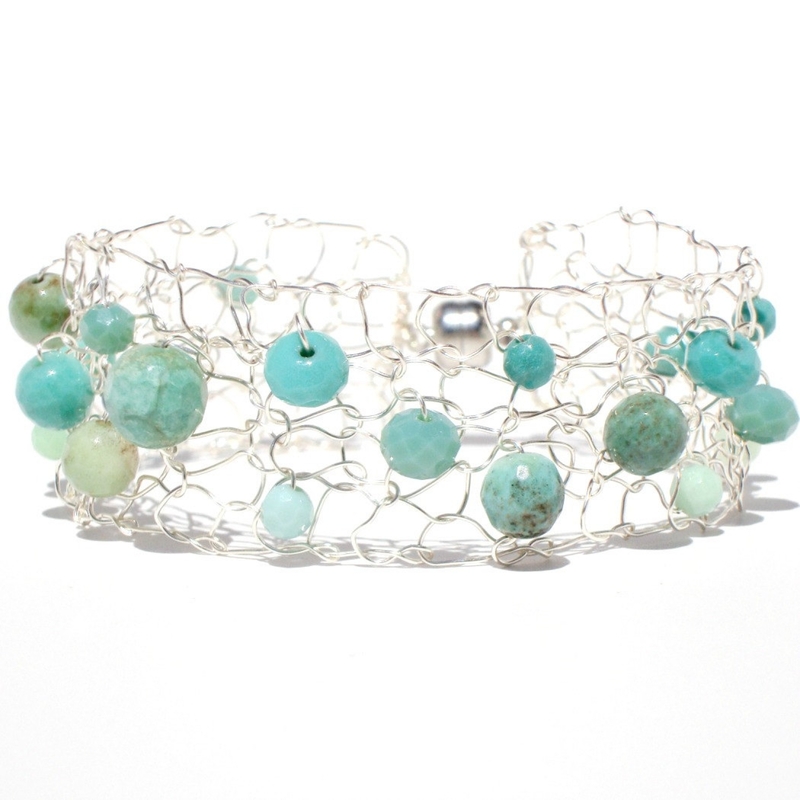 This modern yet totally funky bracelet contains gorgeous faceted opals and turquoise. 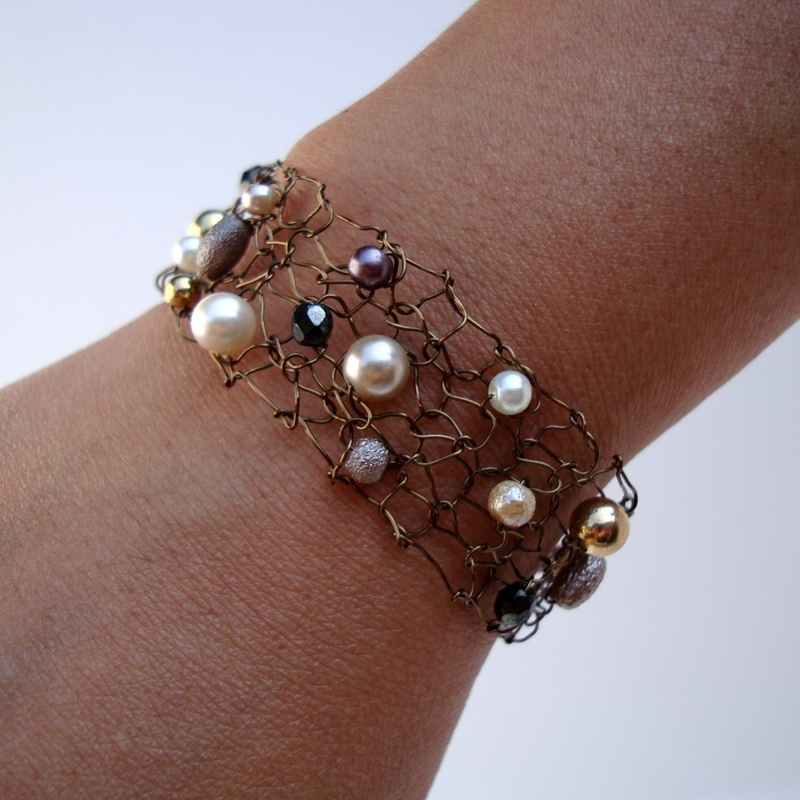 It is hand strung and hand knit and no two ever come out exactly the same. 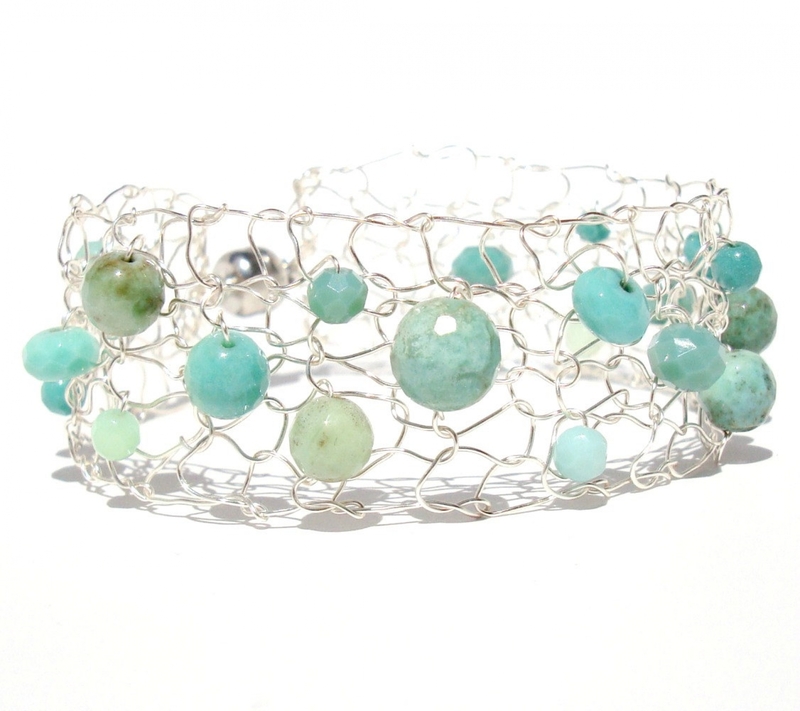 This piece is so versatile - as these thin cuffs can be worn with other bracelets! 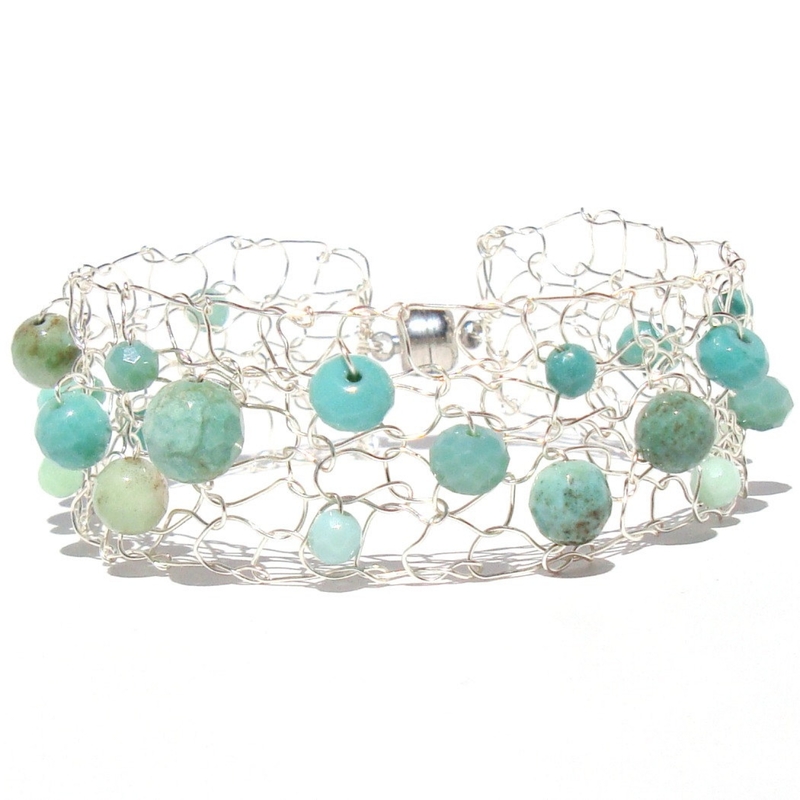 It is Limited as I only have a limited amount of these stones and it is proving to be quite popular for the Summer 2014.